We are all about reusing pallets for EVERYTHING! Shelves, tables, decorative wall hangings – love it! I love furniture that has been repurposed. Craft project and interior design rolled into one! 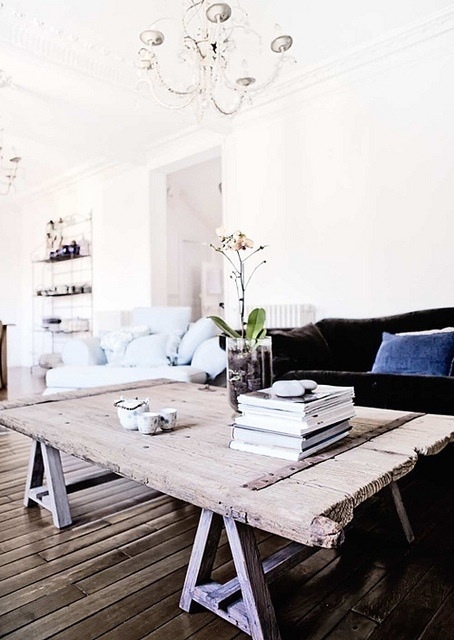 I think this door come coffee table is really cool and a great feature piece. 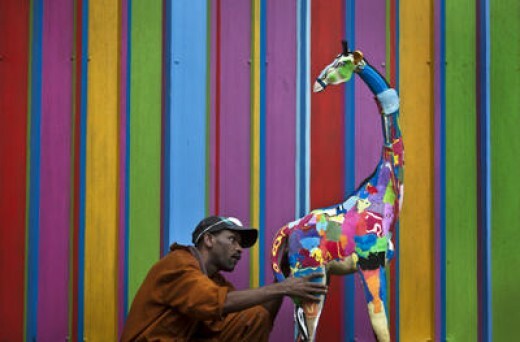 Love the way people create and reuse found, deserted items. This is inspiring! 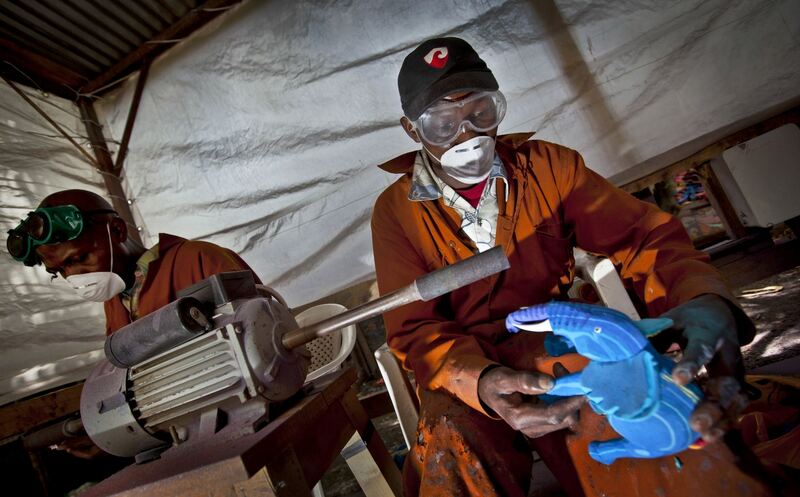 Watch as the people at ocean sole flip flop recycling company use the magic of imagination, creativity and plenty of passion, to recycle waste flip flops into beautiful toys! Waste washing up onto the beaches of the remote Island of Kiwayu, Kenya. 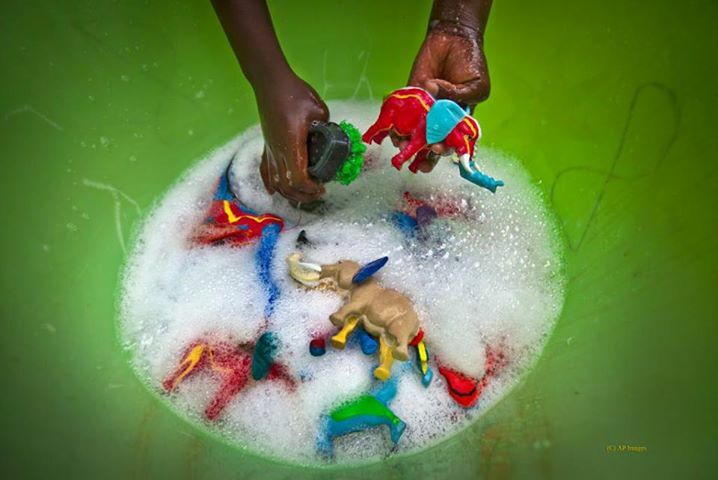 Worker Jacqueline Achien washes the waste flip-flops in a bucket before they are sorted and carved. 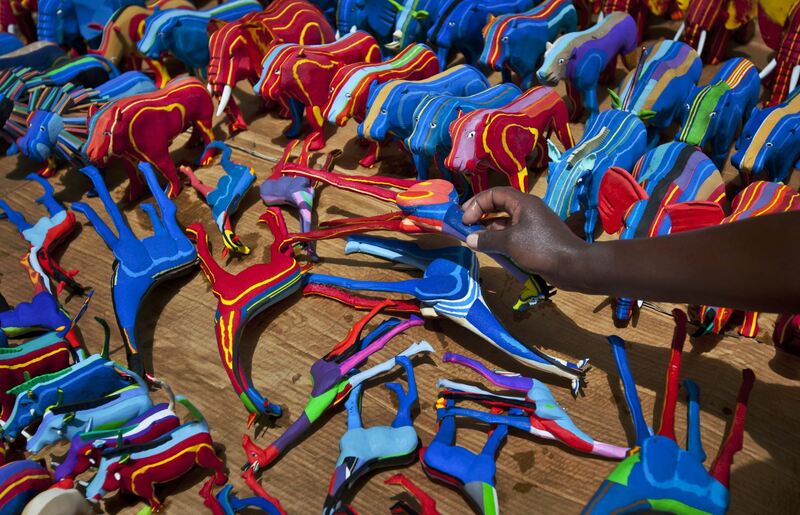 Machinist Benedict Ndambuki, 36, uses a lathe to smooth off the rough edges of a toy elephant made from the discarded flip-flops. Cleaning up of the newly made toys. 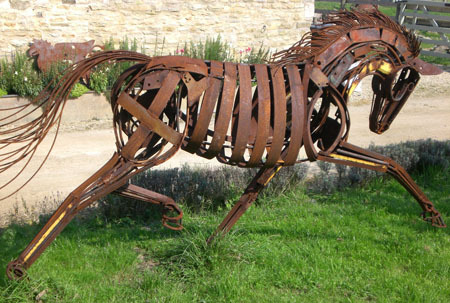 One of the fastest growing sectors in the art world at the moment is that of scrap sculptures. The attractions of recycling waste materials are obvious but the popularity of this form of art is now attracting the attention of museums and galleries across the world. 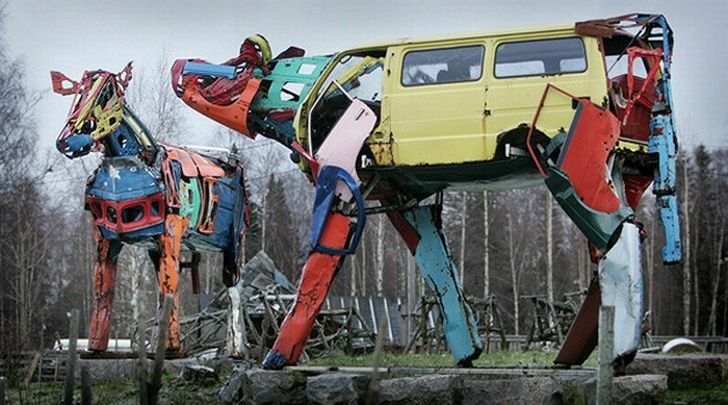 Almost every type of junk from old clothes to bottles and used car parts are being used by artists to recycle and turn into an original piece of sculpture. For the purchaser there is the added “feel good factor” about something beautiful that has been created out of surplus or waste materials. 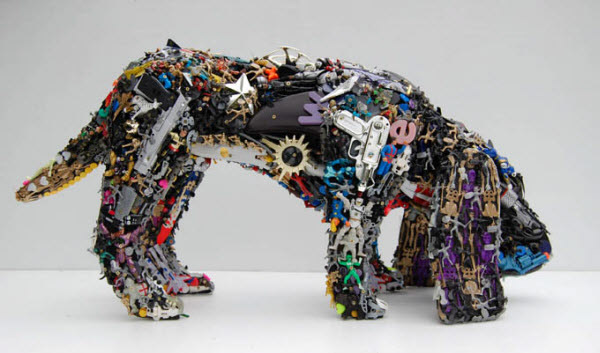 With the world’s governments finally waking up to the importance of environmental issues, the future of recycled art seems to assured. We here at Trash Knight love this form of art! Gorgeous!